We all love the occasional chocolate bar, packet of crisps and tasty biscuit but these naughty snacks seem to be adding up to a huge amount as English Apples & Pears have conducted research which has found that we are spending a whopping £31,000 on all those unhealthy snacks on average! 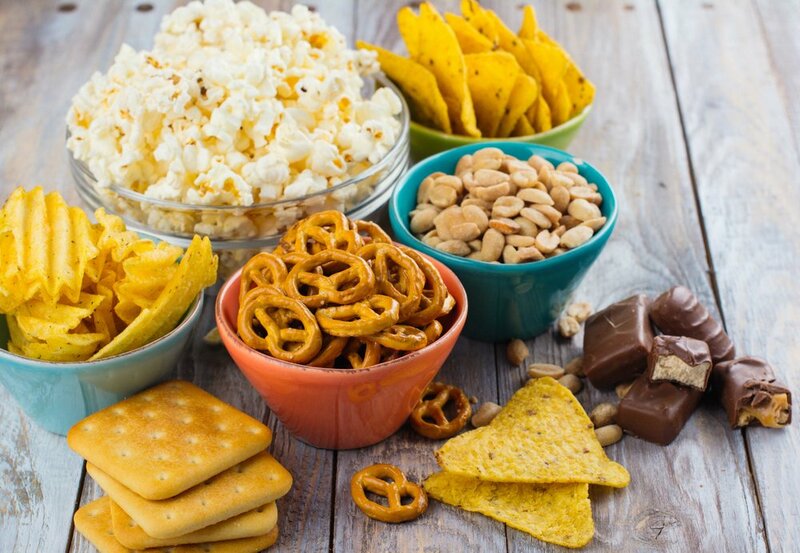 Rather than going for a fruit or veg snack when we’re peckish, it seems we’re grabbing chocolate, crisps, cheese and biscuits, but whilst these taste good, experts say that swapping these snacks for an apple could not only save our pennies but benefit our health too. The research revealed that people who opt for an unhealthy snack like a chocolate bar fall ill 33% more often than those who opt for a piece of fruit. And although we’re all aware fruit is far more beneficial to our health than these sweet treats, fresh fruit doesn’t even make our top 10 favourite snacks. And whilst we all had it drummed into us in our school days about how having an apple a day will keep the doctor away, half will munch on chocolate every week rather than fruit! It's also surprising that we're spending just as much on fashionable health foods and between purchasing unhealthy snacks and healthy superfoods, we're on average spending £600 per year on these snacking extremes. It just goes to show, we're better off sticking to a good old fashioned healthy apple at snack time. Take a look at this delicious baked apple recipe or why not try making these elderflower and raspberry baked apples? Get happy and healthy in 15 mins!